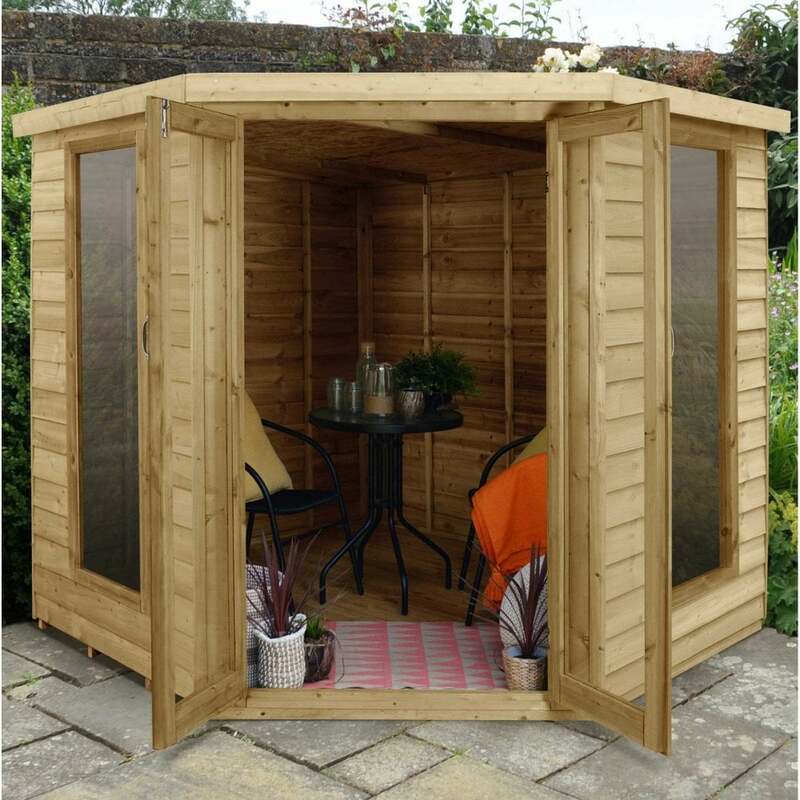 Forest Garden Oakley Corner Summer House: The Oakley is a simple corner summer house featuring traditional overlap style cladding and styrene style glazing for ultimate safety. Forest manufacture a massive range of garden products using only FSC Certified timber products so that you can be assured that all timber products in the Forest range are sourced from well managed and sustainable sources. All the Forest pressure treated products feature a 15 year manufacturers warranty against rot. Easy assembly, stylish and practical the Oakley is a simple and very attractive summerhouse.